With the release of FirstRate5 V5.2.10 (3.13) we have prepared a comprehensive on-line tutorial on the new features included in the new software without having to read the manual. 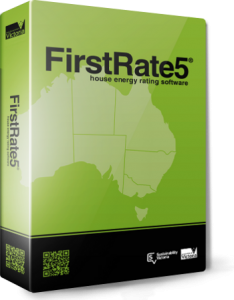 Our Energy Rating Review is a great way to ensure your energy rating assessments meet the required standards and you are using the software in the most effective way possible. The Mastermind suite of courses are made up of six sets of quizzes that have been designed specifically for Thermal Performance Assessors and are related to content from NatHERS publications. This great feature enables assessors to turn their understanding of NatHERS into CPD points for accreditation renewal. The Masterclass suite of courses have been specifically designed to provide you with an overview of your own energy rating modelling. We will assess your results and provide you with a ten point health check with recommended outcomes which will guide you in best practice modelling techniques and common errors using the software. The Mastercraft suite has been designed specifically for Thermal Performance Assessors and is based on ethical standards that are required for accredited NatHERS energy raters under AAO Code of Conduct. Each Mastercraft is made up of a scenario that you are to study and provide suitable responses. The BASIX Assessment tutorial will show you how to use the online computer program, understand what parts of the building works are affected by BASIX and what information you need to effectively prepare a BASIX certificate.